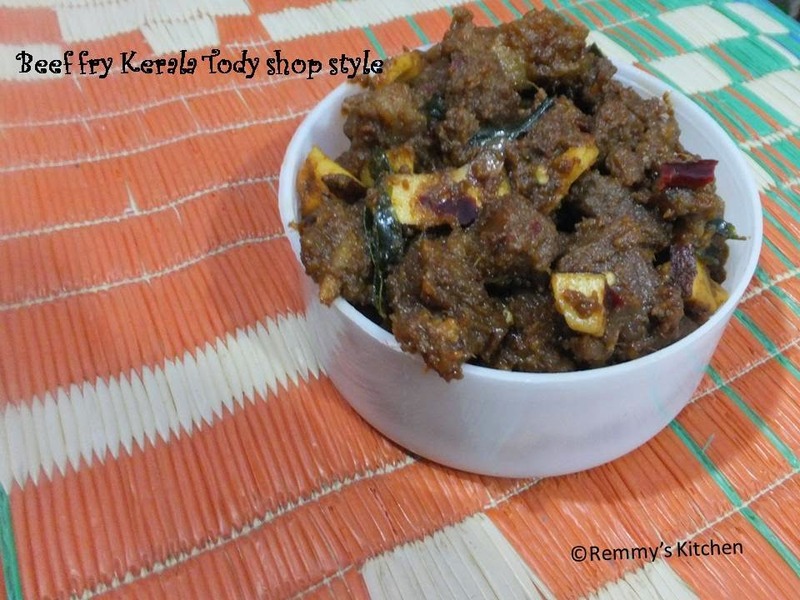 If you are a Keralite you may heard about taste of kallushap (toddy shop) food .I have never been to a toddy shop but heard a lot about the tasty food available there. 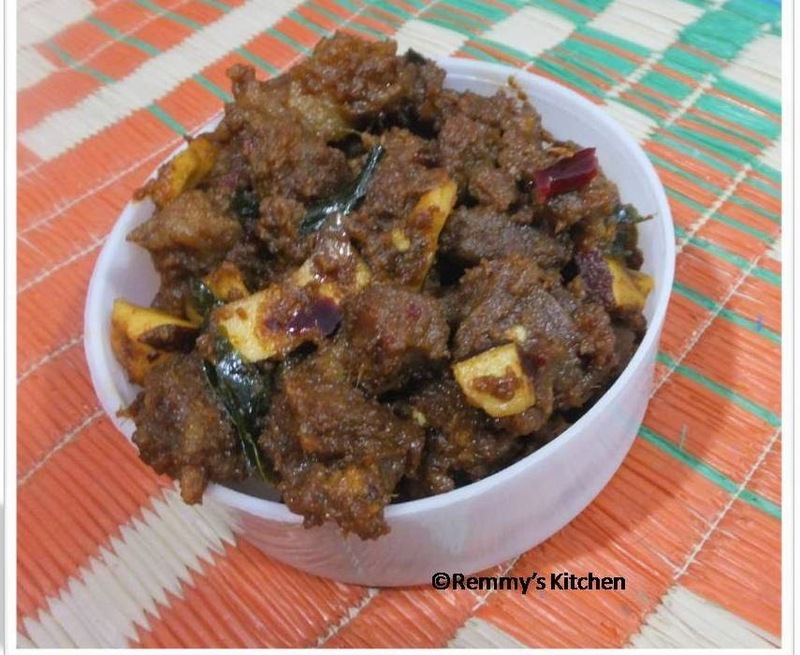 To be frank secretly I love to taste something from there atleast one time:).You might be wondering that then how I got this perfect recipe..I took this recipe from mariasmenu and tried several time.Atleast once in a while loose your control on diet and enjoy!!!!!! 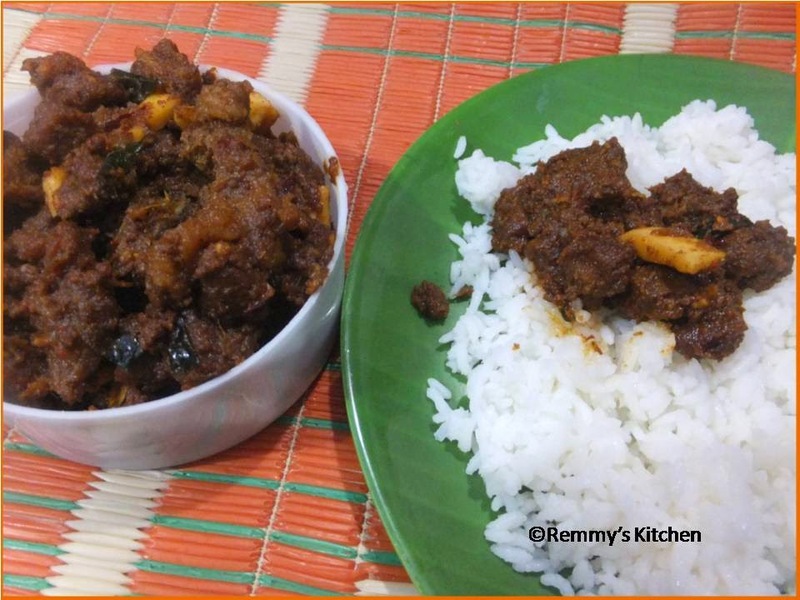 Marinate the cleaned beef pieces with the all ingredients listed under "to marinate"
Pressure cook it with 2 tblspn of water(beef tends to ooze out water).Mine took 5 whistle in medium flame.Keep the cooker undisturbed for 15 minutes. If you have any excess water cook till the water is dried completely. Give a stir in between. If need add extra oil. 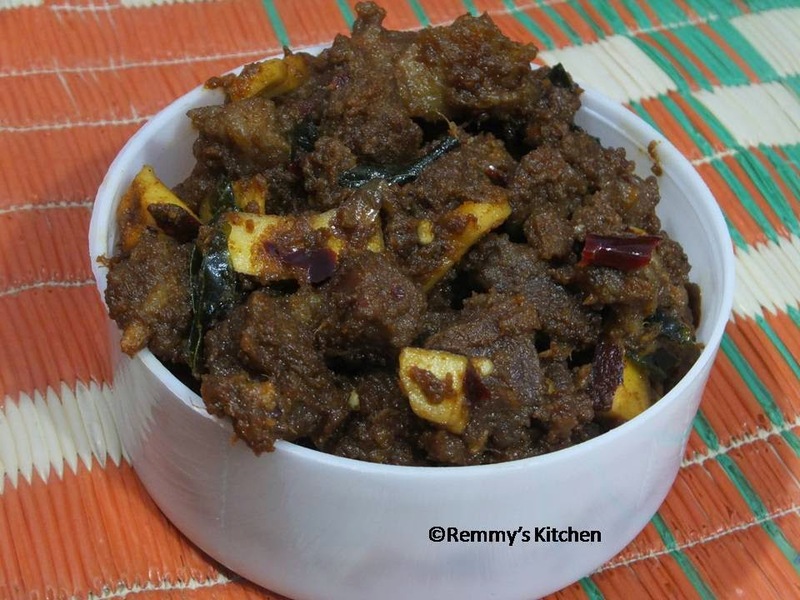 Use shallots(kunjulli ),red chilly and coconut oil for the perfect taste. I've never had beef but this looks delicious!